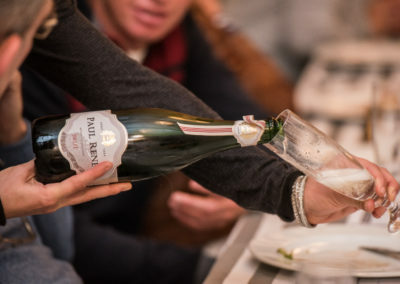 ​From the Robertson wine valley comes a new trend-setting Bubbly enjoyed by those who appreciate the finer things in life. Expect to find it at exclusive dinner parties, uptown eateries and the tucked-away deli on the corner. 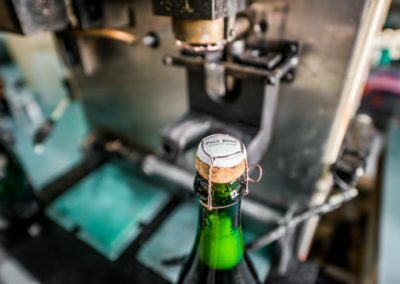 Farmer and bubbly producer, Henk van Niekerk, believes it is the break away from the traditional which propelled this MCC from its humble beginnings on Wonderfontein Estate, to the fridges and coolers of a new generation of bubbly enthusiasts. From a young age Henk stole groceries from his mother’s kitchen for his field expeditions with his fellow boy scouts. His passion and enthusiasm for mixing various flavours in his style of cooking was already clear at that age. Many years later it was the PAUL RENÉ MCC experiment that surpassed all his expectations and is now his life’s passion and living dream. After several years of research and planning to produce what goes into the bottle, it was left to his wife Monica to take care of the outside. As a little farm girl Monica spent days in her Grandmother’s art studio and the creative mind to create the unique PAUL RENÉ MCC look was no doubt founded there. 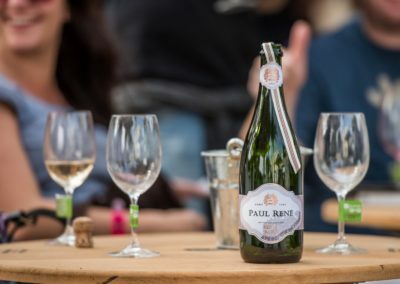 The loving couples’ smiles are synonymous with the brand and expect to smile too if you get the chance to taste Paul Rene. 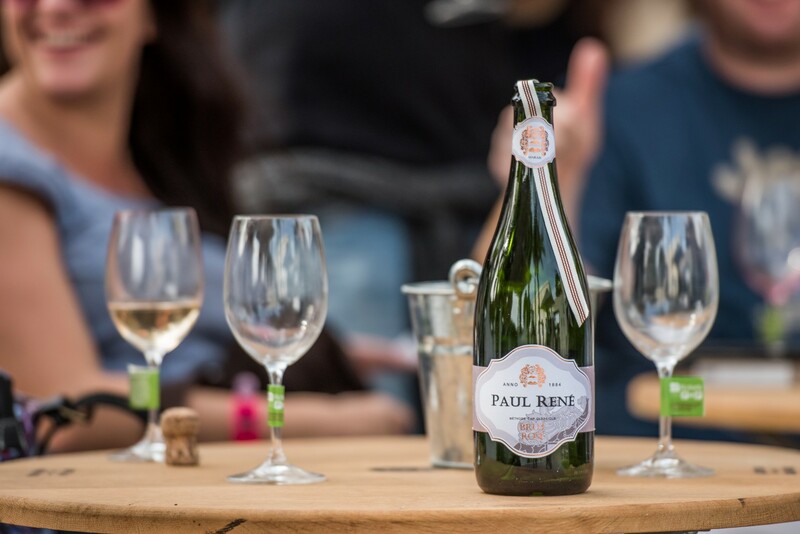 PAUL RENÉ MCC BRUT is made from 100% chardonnay grapes that are hand picked in the early morning and then chilled overnight. Crate by crate they are passed into the press before the whole berries are crushed. 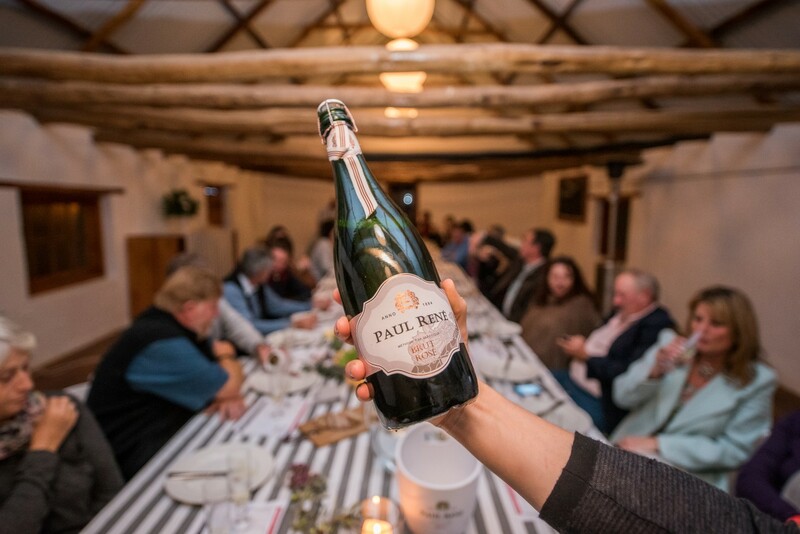 This is only the beginning of a 3-year journey of detailed planning and careful attention to create a vintage of the PAUL RENÉ MCC BRUT. 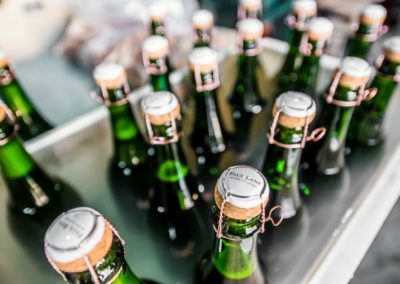 Each bottle is fermented for no less than 20 months on the lees, which creates a vibrant mousse, apricot and green apple freshness, with emphatic & persistent dry finish. 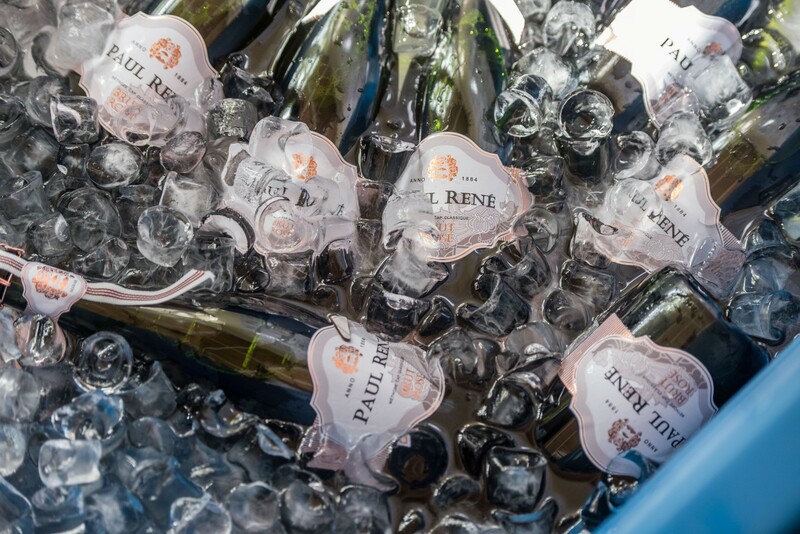 ​The grapes for the PAUL RENÉ MCC BRUT ROSÉ were hand-picked from our vineyard in the Robertson Valley. 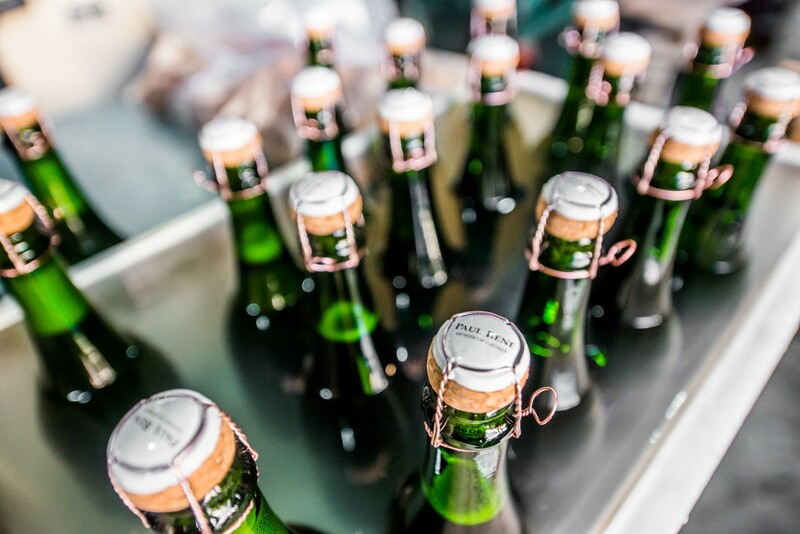 Made from classic bubbly varieties (75% Pinot Noir and 25% Chardonnay), each bottle was fermented for 24 months on the lees at a consistent temperature of 14 degrees Celsius, before disgorgement. The result: a lightly salmon coloured bubbly, refreshing in style and appearance with red, fruity flavours, floral undertones and silky richness. 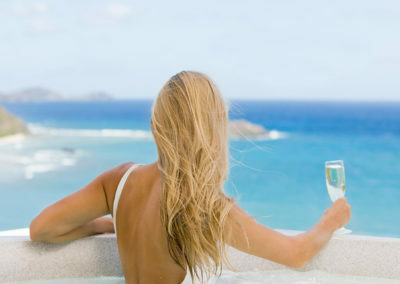 It pairs with seafood and white meats, and is ideal for a sundowner in summer. 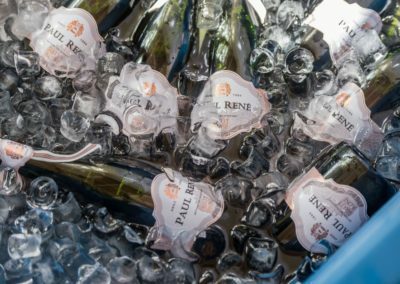 Arrive in style with a splash of pink and indulge in the beauty, simplicity and elegance of our seond Paul René Bubbly Festival. 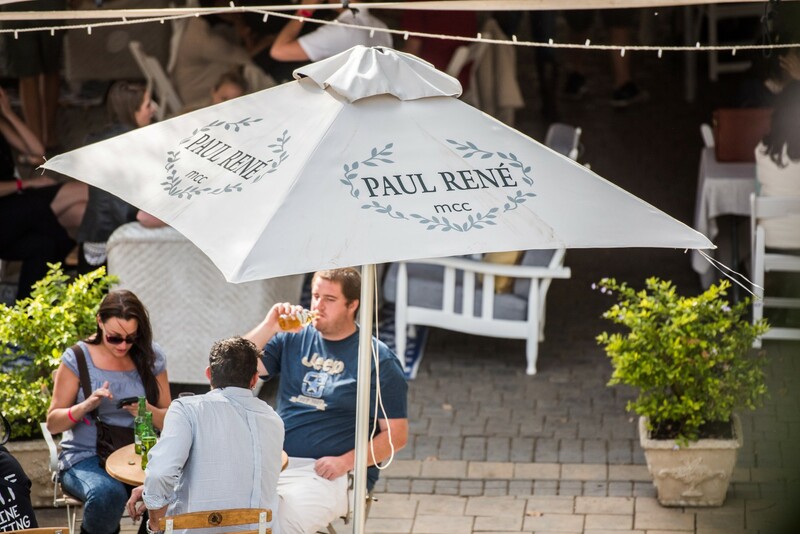 ​Take a journey to the ravishing Robertson in Spring to discover the home of Paul Rene at the Wonderfontein Wine Estate. 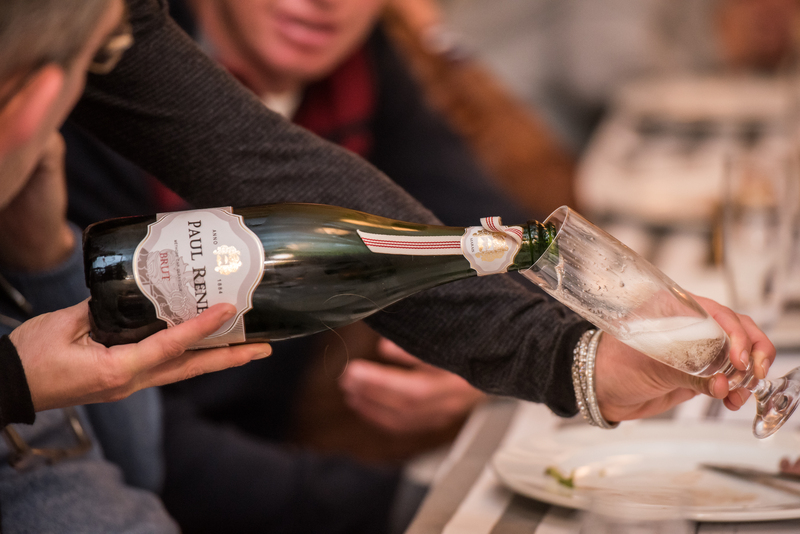 Family and friends will experience the heart and soul of authentic hand crafted Paul René Brut and Brut Rosé. 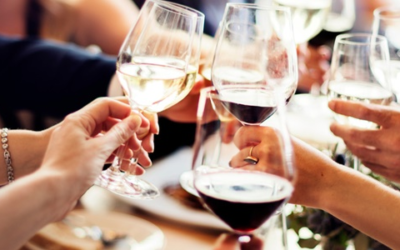 The Wine on the River festival will once again take place on the picturesque riverside farm, Goudmyn, situated on the R317 between Robertson and Bonnievale. ​This idyllic, open-air spring festival is not to be missed. So bring your friends and family along for an extravaganza of fine wine, delectable treats, great music and complete relaxation amidst a rural ambience of spectacular scenery and warm sunshine! 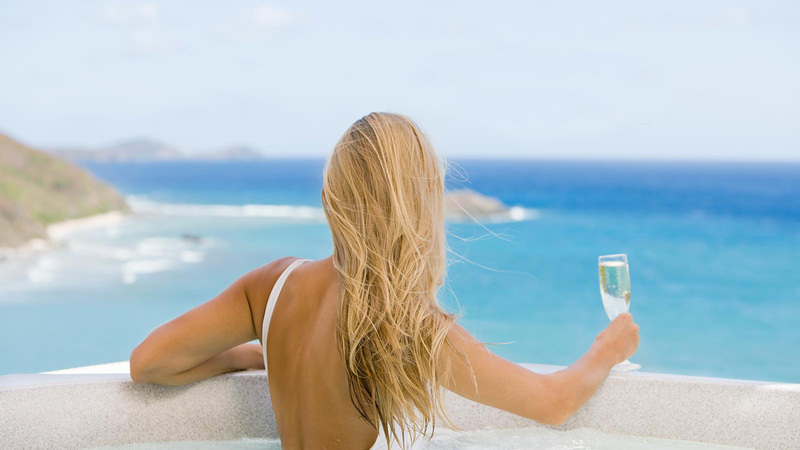 Make sure you visit us and taste a chilled glass of bubbly. Chardonnay grapes were hand picked in the early morning and then chilled overnight. Crate by crate they were passed into the press before the whole berries were crushed. 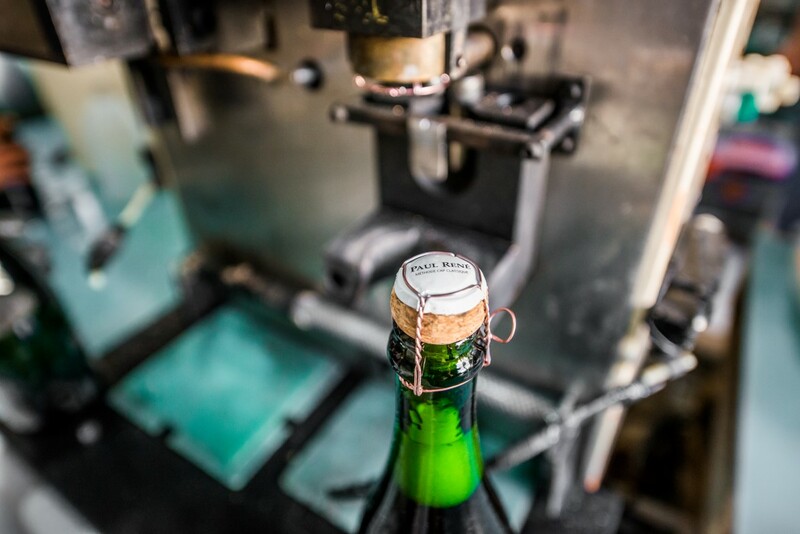 This is only the beginning of a 3 year journey of detailed planning and careful attention to create a vintage of our PAUL RENÉ MCC Brut. Each bottle is fermented for no less than 20 months on the lees. R210 per bottle and R1260 per box of 6. We would love to hear from you with any enquiries, comments, wine orders, wine tasting reservations etc. 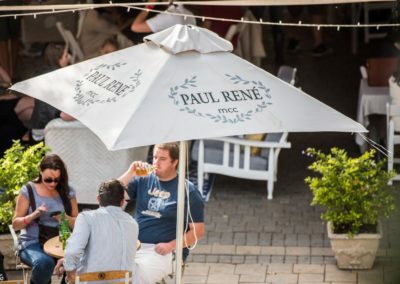 Paul René MCC is situated on the Wonderfontein Farm and is an easy 90 minute drive from Cape Town and is situated 1 km outside of Robertson on the McGregor road.